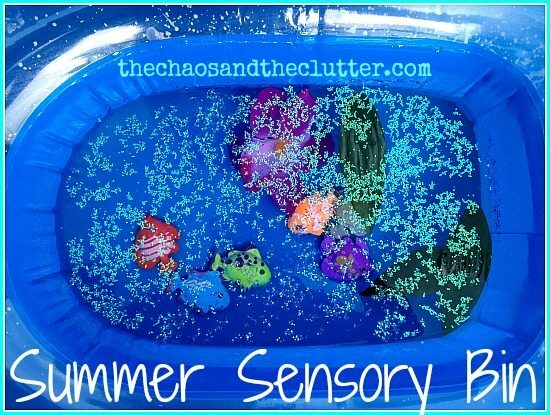 This summer sensory bin is one of my favourites of all time. It was perfect for outdoor play. As an added bonus, I didn’t have to worry about glitter being all over the house because any excess glitter stayed outside! I bought a small blow-up boat for just one dollar to house this sensory bin. 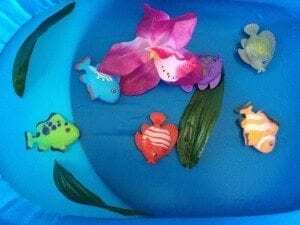 I started by laying in some plastic fish (also from the dollar store) and some leaves and a flower that I cut from a bouquet of silk flowers also purchased from the dollar store. I then added water. I sprinkled a fair bit of glitter in the water because glitter always makes things more fun! I brought the boat outside. 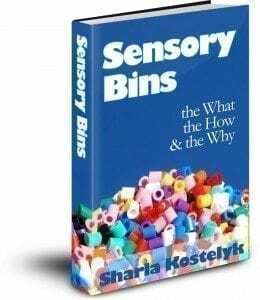 It’s been my experience that sensory bins that involve a lot of liquid do better outside because then I am less stressed about the potential for mess! 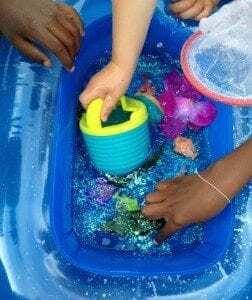 I gave the kids a small net and watering can to use with the bin and they just had a great time exploring, scooping fish into the net, watering the flower, even adding real grass. 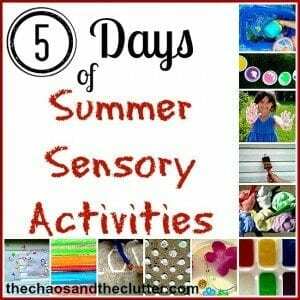 This activity is one that I am sharing as part of this week’s series of Summer Sensory Activities. 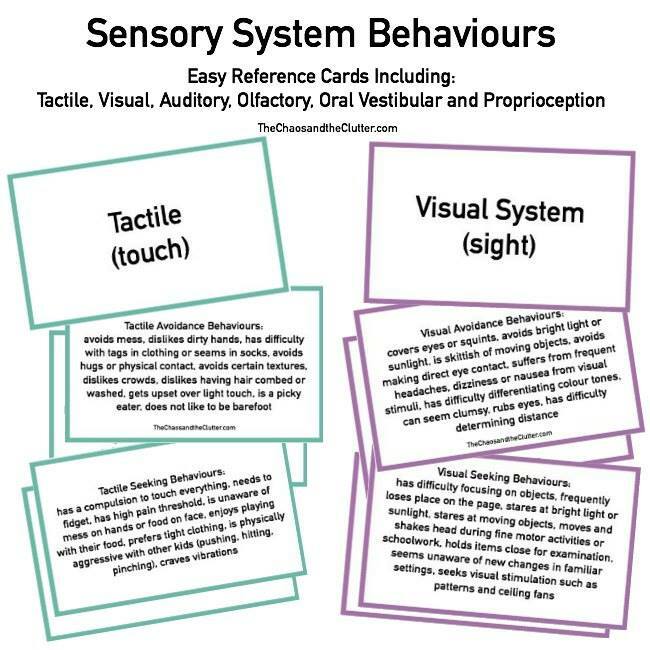 I will be posting two new ideas a day all week.